On Wed Dec 1 at 6.30pm, Rohan Carboon, a bushfire safety consultant and parent at our school will present a talk on the Silver Tree Bushfire Procedures. 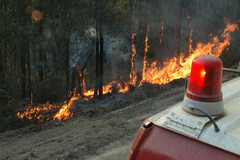 Learn why the School was evacuated from the recent John Forrest bushfire and why the school would evacuate again. Also, why parents should not drive to the school if a bushfire is very close to the school.